We are so happy to have you with us on this marvelous adventure to explore the world. Hidden in our books are secret links. Find them, and with one click you will be up high, looking out at new horizons. 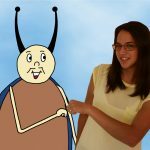 Let’s Go Bungees is the first in a series of interactive books that take children on an adventure around the world. As they learn about different places, people, and cultures, children will be able to get an animated version of their journey through links that are hidden (in plain sight) throughout the book. For me it was an exhilarating experience and a UNIQUE way to see the world. Your tour guides in Let’s Go Bungees are Ming, his wife Sheen, and their friend Yoga. Because they are Japanese ladybugs, Let’s Go Bungees is also an ETHNIC read. Primarily, Let’s Go Bungees would be recommended for First Time Readers (0 – 8), but with the interactive links, I also recommend this book for Middle Grade Readers (9 – 12). Nava Almog was born in Italy, raised in France, Israel, and Africa. She spent her childhood traveling the world in the company of her parents, Nava fell in love with the wonder and adventure of discovering new people, places, and cultures. 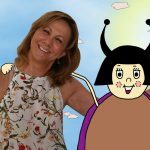 As far back as she can remember, Nava has written or drawn the stories of her journeys, and she has passed on these passions to her children. 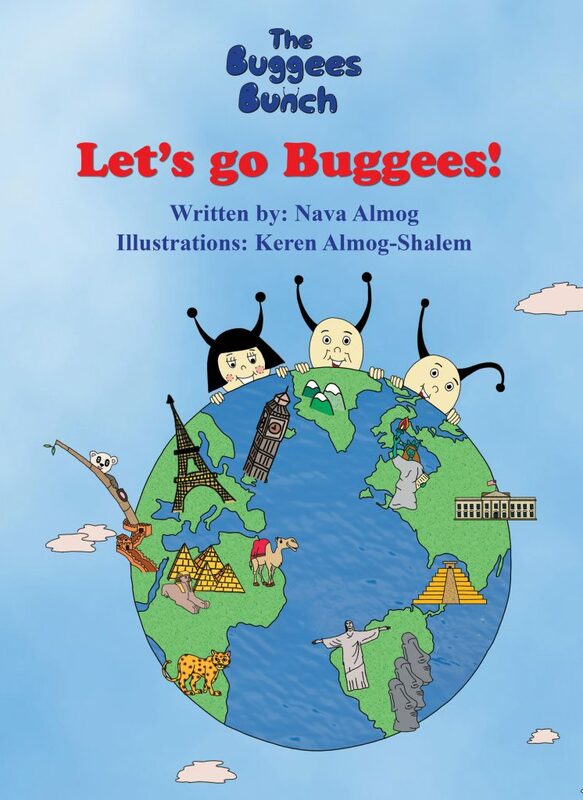 Nava and her daughter Keren (who also loves to travel) have written and illustrated stories based on their own experiences so that children all over the world can discover new places, cultures, and friends through the adventures of the BuggeesBunch. Keren Almog-Shalem came into the word in a whirlwind of happy enthusiasm. She has been a creative adventurer since she was a child, and loves to travel the world searching for the most unique, special and daring experiences. She climbs the highest mountains, bungee jumps, sky dives, and generally seeks the most daunting challenges. As an artist, Keren is a marvel at transforming an idea into a project or product, and it is she who has infused the Buggees with such humor and joy. Like her mother, Keren loves to cook and to paint. She also plays beach volleyball and tennis and loves a day in the sun. It’s a free download, and he provides a tutorial as to how to use on WordPress using the Page Builder. It is really simple to set up, and as you’ve said–very nice. harder on that. I am posting more frequently, but if you need to contact me, see my Author’s page.